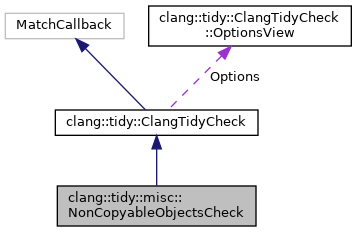 The check flags dereferences and non-pointer declarations of objects that are not meant to be passed by value, such as C FILE objects. Definition at line 20 of file NonCopyableObjects.h. Definition at line 22 of file NonCopyableObjects.h. Definition at line 54 of file NonCopyableObjects.cpp. Definition at line 20 of file NonCopyableObjects.cpp.